Robert J. Dodson age 82 of Oronogo, Missouri passed away on Saturday, January 12, 2019 at Joplin Health & Rehab. He was born on June 29, 1936 in Webb City, Missouri to Lee Dodson and Sarah (Johnson) Dodson. Robert was a retired tech sergeant in the United States Airforce having served over 21 years. He married Freda (Eli) Dodson on October 23, 1984 in Miami, Oklahoma and she survives at the home. 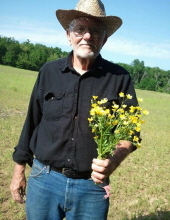 Robert is also survived by his son, Marvin J. Dodson of Carthage, Robert E. Hight, Jr. and wife Melissa of Florida, Richard Hight and wife Sarah of Avilla; daughters, Angela Francisco and husband Don of Webb City, Jeanna Dodson Shealy and fiancé Jody of Carthage, Tracy J. Dodson and husband James Fredrickson of Webb City, Peggy Larson and husband Marvin of Oklahoma; 14 grandchildren, 20 great grandchildren with one on the way, and 1 great great grandchild. Funeral services will be held on Thursday, January 17, 2019 at 2:00 PM in the chapel of Simpson Funeral Home in Webb City with Johnny Wilkins, III officiating. The family will be present for a visitation on Thursday from 12:00 PM until service time at the funeral home. Burial will be in Weaver Cemetery with full military honors. Services are under the direction of Simpson Funeral Home in Webb City. Visit www.simpsonfh.com for online condolences. To send flowers or a remembrance gift to the family of Robert J. Dodson, please visit our Tribute Store. "Email Address" would like to share the life celebration of Robert J. Dodson. Click on the "link" to go to share a favorite memory or leave a condolence message for the family.